HA ! HA !! Fun and great expression!! I like the angry look of the man. The girl seem oblivious to it all. Great stuff. That reminds me of too many flights. Great sketch. 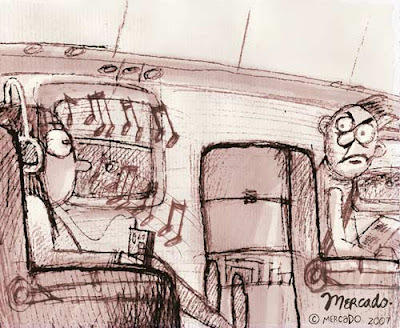 I love sketching on planes-it is so much work to do it without anyone kowing what you are doing. Great sketch. The man’s expression is priceless. But I can imagine I would have the same expression in such a situation.